Trend-defying jewellers BIIS and Buffalo Zine have joined forces to create a limited- edition batch of unisex, multi-purpose pendants! Inspired by the fifth issue of Buffalo, the collection makes reference to the age-old craft of picture framing. The pendants are a sturdy, 28mm-long, sterling silver interpretation of the ‘needle loop’, a small but vital component. 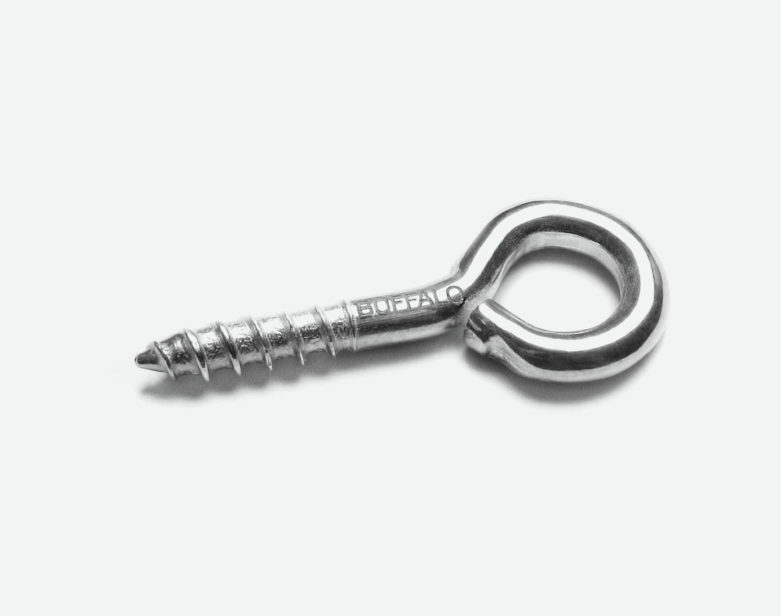 Their screw-like ends come in particularly handy when affixing artworks securely to walls. However, both BIIS and Buffalo hope that you will enjoy your Needle Loop SilverPendant in its purely decorative capacity. It´s a design piece darling, not safe for D.I.Y.! Madrid-based BIIS are carving a path of their own through the jewellery market’s dense forest. With a concerted focus on the witty, the unfussy, the unisex, they draw from everyday stimuli to create versatile pieces with distinct personality. Staples, thumb tacks and paperclips all get a look-in, making the Buffalo collab’s Needle Loop PendantTM an immediate BIIS classic.